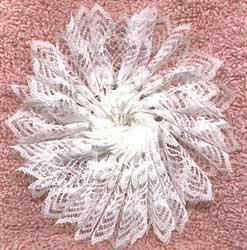 Complete tutorial on how to make ultra light snowflake decorations. 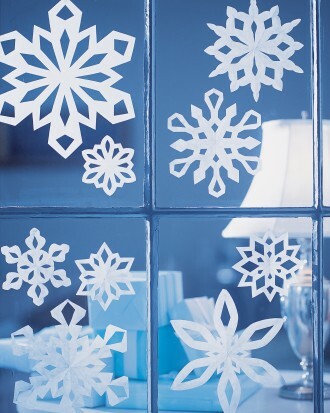 Free snowflake pattern and template collection. 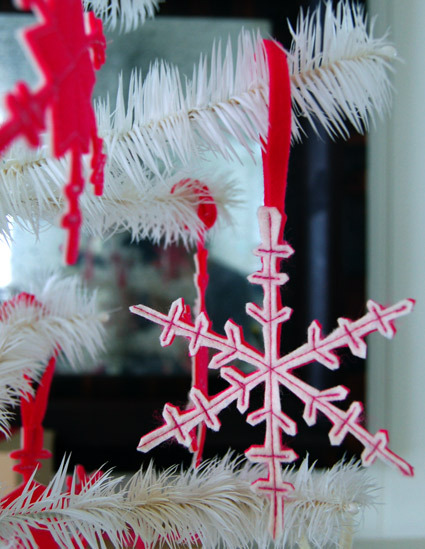 Make snowflakes from macaroni and hang them on the tree, in a window or string them together to make a garland. 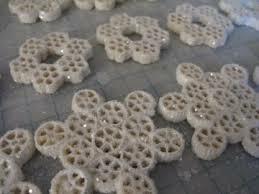 Learn how to make snowflakes from beeswax. Snowflakes here, snowflakes there, snowflakes everywhere. That is where you will want to hang these beautiful winter wonders - Everywhere! 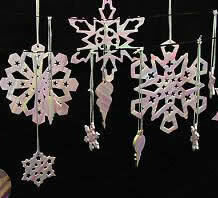 We have patterns and instructions to make snowflakes from polymer clay, paper, felt, lace and Styrofoam. 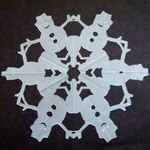 Don't forget, snowflakes are perfect for the entire winter, not just Christmas..
Just like real snowflakes, each one of these ornaments is unique. 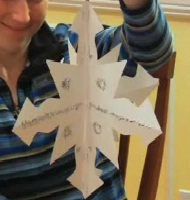 Learn how to fold and cut the perfect snowflake. Fun caft for kids and a beautiful decoration for the home all in one. 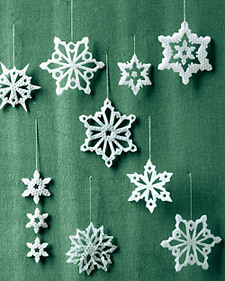 These snowflakes are simply made from lace and wire. 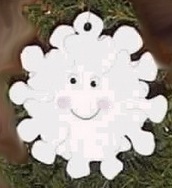 Use the free pattern to make a smiley snowflake from craft fun foam. 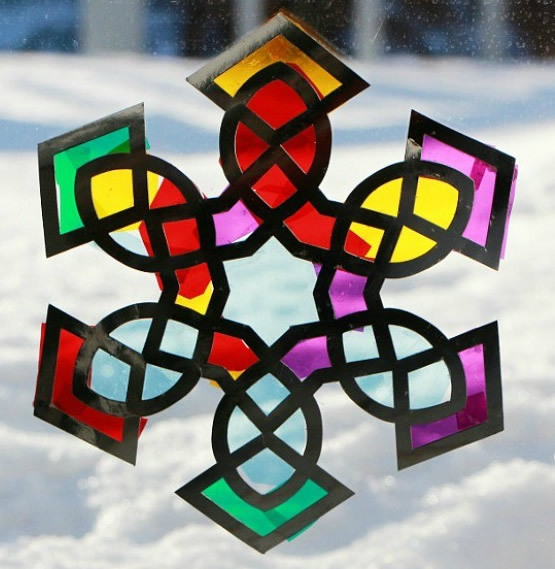 Fold, cut and trim to make this 3-D Snowflake. 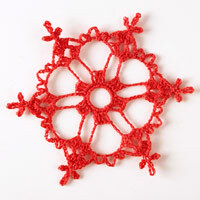 Pattern and instructions to crochet a snowflake. 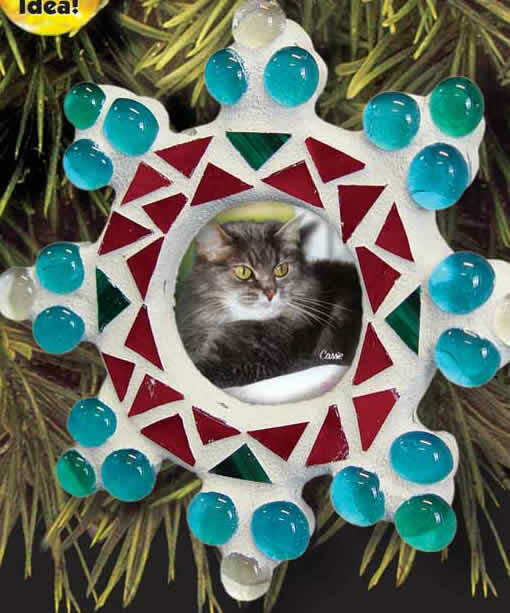 Glass mosaics add an artistic accent to the holidays.